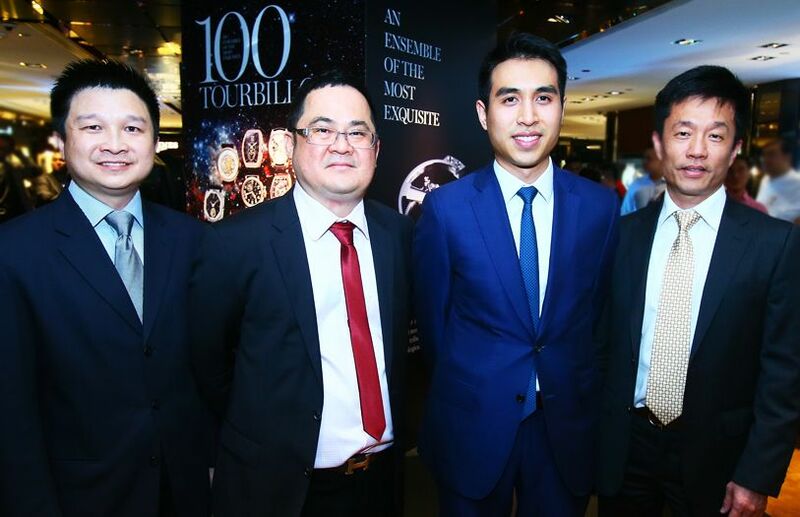 Malaysia’s leading watch specialist Sincere Fine Watches displayed 100 of the finest tourbillons, which were valued up to RM100 million, at its Suria KLCC boutique recently. Sincere Fine Watches had gathered many of the world's finest timepieces for the exhibition including Franck Muller, Jaeger-LeCoultre, Roger Dubuis and Corum to pay homage to man’s oldest horological invention – the tourbillon complication. Businessmen, socialites and brand representatives including Franck Muller, Elaine Daly and Teh Soon Kheng were seen admiring the exhibition while violinist Joanne Yeoh provided an engaging atmosphere with her performance.